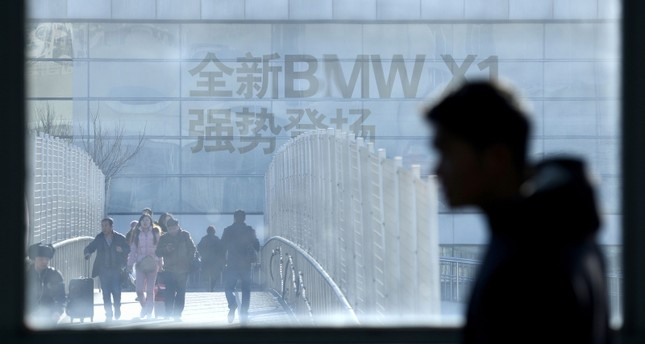 German luxury carmaker BMW announced Thursday a plan to take control of its China joint-venture, the first foreign automaker to take advantage of Beijing's new ownership rules for the sector. The reforms are part of Beijing's plan to further open its economy to foreign business, after years of facing pressure from the United States and Europe. But U.S. and European business groups say the reforms have still not gone far enough, and have pushed for further opening. To force the issue, and to hit back at China for alleged theft of American intellectual property, U.S. President Donald Trump has slapped tariffs on roughly half of the imports from China. The joint-venture "is the cornerstone of the BMW brand's sustained success in its largest single market," said Harald Kruger, BMW's chairman. "BMW Group and Brilliance continue to set a good example of successful cooperation in China," he said. Brilliance China's shares in Hong Kong have plummeted this year, and were suspended from trading on Thursday. BMW has been hit particularly hard by the U.S.-China trade war with many of its SUVs imported from the U.S. facing new 25 percent taxes, while cars imported from other countries have benefited from China's tariff cut for vehicles from 25 percent to 15 percent. China's auto market, the world's largest, has faced headwinds this year as the economy slows.